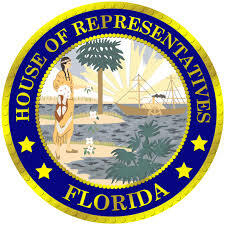 The bad instructional materials bill currently before the Florida House (HB 827 — see our issues page about it) cleared its first hurdle, getting a favorable vote at the PreK-12 Quality Subcommittee meeting yesterday. A bill to give Florida school district residents even more say in the selection of textbooks and instructional materials easily passed its first House committee on Wednesday, with just one member opposed. The proposal … already has drawn concerns from organizations that worry it aims to generate attacks on science and social studies books. They’ve noted that science book challenges have arisen already because of the 2017 law. The only speaker on the bill in the PreK-12 Quality subcommittee was from the conservative Florida Ethics and Religious Liberty Commission, in favor of the initiative. No one was there to speak in opposition. We can’t stop this bill without your help. Contact your representatives now.